Certainly laughter and comedic relief are consuming the atmosphere of our homes during this time of year. Reminiscing on holiday stories, entertaining unexpected guests, and the participating of gluttony in the midst of various Christmas parties usually obliges us to not only laugh, but create new lasting memories. If you add Barbara Walter’s most recent claim to this list, you’ll find your self laughing uncontrollably, and yet grimacing at the very thought. In an interview with CNN’s Piers Morgan, Walters expressed an opinion that shocked very few. When asked about the president’s dismal performance and low approval ratings, she retorted, “We thought he was going to be our Messiah” . While her admittance of absurdity and fallacy surely causes one to erupt in sarcastic cheer, the danger here is that she is simply a spokesperson for the many that idolizes mortal humans. Our culture is contaminated by those who put imperfect human beings on proverbial pedestals and worship their every act. In Walters attempt to align the leader of the free world to the risen Savior, she not only made a mockery of the deity of Christ, but she exposed a culture that has substituted God for individuality. In the concept of Walters claim, she confesses that many Americans perceived President Obama to be the divine answer to our country’s problematic woes. It was the naïve thinking of many in 2008 when Obama was elected to the Oval Office that one man alone will arise from the ashes and restore dignity and economic prosperity to our beloved America. There is a bigger question that lays here. Who do we idolize? In addendum, do we realize this shortcoming and are we attempting to fix it? We’ll pay hundreds, if not thousands, of dollars to see sports icons for a few hours of entertainment. We’ll spend countless amounts of dollars supporting musical artists who have lives that are exempt from morality and values. We’ll vote for politicians who cheat on their spouses and abort the promises they made to their constituents on the campaign trial for popularity and political fame. We’ll expose our children to the confines of Hollywood entertainment for the sake of making them culturally relevant, when in essence, we are raising them to embrace the moral decay of our secularized culture. While there is certainly nothing wrong with having role models and mentors who encourage and inspire us to be the every best we can be, we must be cognizant of the fact that unless we provide a moral and convicting solution to the contamination problems within our culture, we are simply part of the idolization. 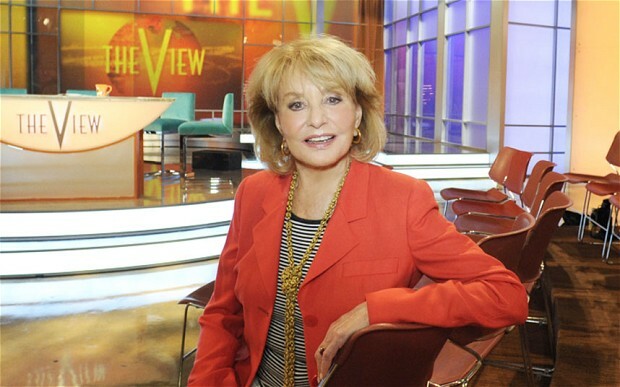 Whether it is Barbara Walters or the enthused fan at Yankee Stadium, we must prevent ourselves from contaminating our souls with adoration that belongs to our Creator and not to man. So, so true Demetrius! Keep up the good work.